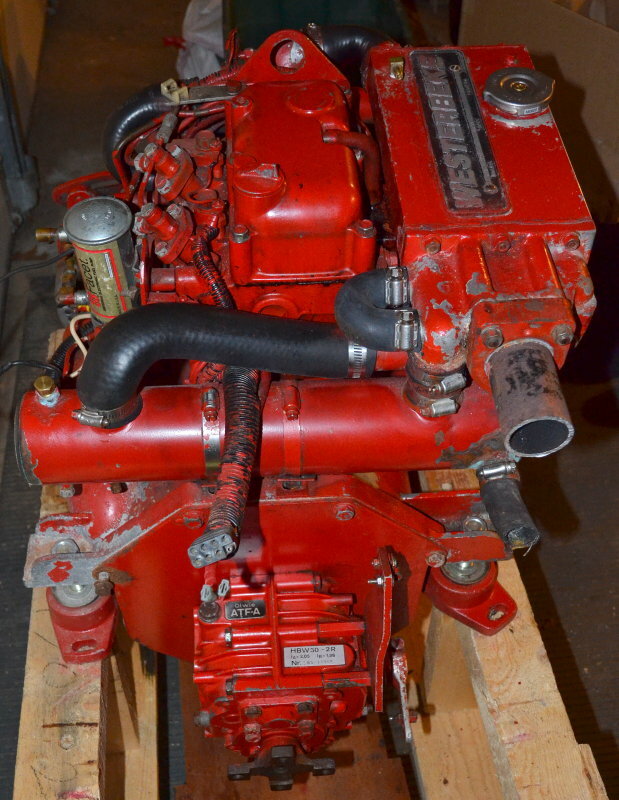 I has a used but very good condition Westerbeke W13 diesel engine for sale. I am selling it as a "parts" engine but only because I have not 100% run through the engine. I had planned to, but it would have added about 1k to the price in time & materials and quite frankly I just don't have the time so I am selling it for what I have into it.. It is just collecting dust in my shop and deserves a good home. It was running perfectly when taken out of the vessel but the owner, a wealthy guy from out of state, decided he just wanted a new motor. No real reason, just wanted a new motor, for his piece of mind. These are great running little Mitsubishi based diesel engines. Repower for CHEAP or just grab a spare engine and have thousands of dollars in spare parts to keep your W13 running for years. Having as spare engine is a good way to avoid the 10k re-power surprise!! This motor has been professionally maintained and has many recent parts including 4 recent motor mounts, a recent fuel pump etc.. As far as I know everything works fine. The engine is actually quite clean for her age and pretty darn rust free. The engine has a Hurth HBW-50 gear box which alone is worth about $1000.00 used, and they no longer make it.. Seriously, this is a steal. Mounts and the gear box alone pay for it. How long has it been sitting and do you know the year of mfg and approximate hours on her when she was pulled out? Was the FW side drained/flushed for storage? Love to have this, just don't know if I have the extra room in the garage for long term storage. She is fairly low hours 1425, Maine boat, and came out of the boat in October 2013.I even have the old Stewart Warner gauges too. I just have too many engines to fix up and not enough time. FW side has not been drained I prefer them to sit wet if they can..